Nothing. It’s a martial art! One of the biggest problems the world-wide Aikido community has is an historically accurate understanding of “Aikido is Love”, i.e. what Ueshiba Sensei actually said and actually meant by that. 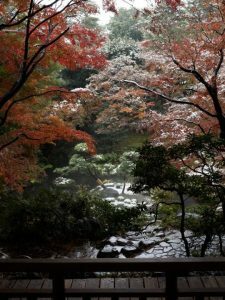 As a result there is a major disconnect within the Aikido world, with passionate and unshakeable beliefs, laudable in content and purpose, but unsupported by the sources. This is made considerably more difficult by decisions the Doshu, O Sensei’s son, made after his father’s death. As shown by an interview he gave in Aiki News he endeavoured to fulfil his father’s wish that Aikido be spread all over the world in order to help spread peace and harmony. The Doshu succeeded in this admirably; however, this success was bought at a price that makes one doubt that O Sensei would have been happy with it. Essentially the decision was made to significantly change the emphasis of the underlying philosophy of Aikido to suit Western audiences, with a re-focus to emphasise love, peace, and harmony which fitted the views of the Western youth-based counter-culture at the time and which has retained significant influence. Additionally, as well as significantly modifying the philosophy that O Sensei had actually practised and taught, an additional decision was made to simplify Aikido to make it accessible to a world audience, and this was also successful; basically, everything that made the Aikido of O Sensei and those of his uchideshi that “got it” so remarkably powerful was removed. 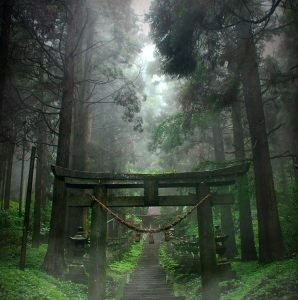 This was a rational decision, as the Aikido O Sensei wanted students to understand is complex, difficult, and an endless unravelling of a puzzle and very few understood it, so removing the complexity would provide an Aikido that worked well enough as a martial art and was within everyone’s reach. Until that point a beginning, omote (open) form of Aikido had been taught with the expectation that acute observation of both the feel and sight of O Sensei’s own more complex Aikido would/could lead a student into deep analysis and study that would gradually totally transform their body, mind, and technical Aikido. The decision to simplify things removed everything except the simple beginner’s Aikido, which became “Aikido”. In Aikido Yuishinkai we call the material that was removed the Principles of Aikido. It is still taught in the private dojos of those surviving uchideshi, and in some of those Aikido ryu that rejected the Doshu’s changes, but the great majority of current Aikidoka have been brought up in styles and dojos heavily influenced by the Doshu’s decisions, not knowing they were neither practising the actual technical Aikido of O Sensei himself nor the actual philosophy of O Sensei. Imagine, success – but achieved by removing exactly what O Sensei actually wanted us to learn and exactly what enables Aikido’s philosophy to be practiced and exactly what would enable us to reach the standard O Sensei wanted for us…anyway…please bear in mind that what you may have been taught and what you may believe may not be what O Sensei intended you to learn and practice, both technically and spiritually. As Aikido Yuishinkai is the study of O Sensei’s Aikido from the period of his last 15 years the changes in the post-O Sensei philosophy and technical Aikido are consciously avoided, as they represent a major and deeply unfortunate deviation from O Sensei’s Aikido. What O Sensei said and actually meant. How do we know what he said, and what he meant? Where’s the evidence? Most students believe what their instructors believe and don’t check for themselves, so, what are the sources? [A] Quotes from O Sensei. Most of these, for Westerners, are in translations of O Sensei’s books and the books and videos of his Uchideshi. The problem here is that, unlike academic literature, the provenance of the quote is not usually provided – date/where/who reported it/has it been verified by other witnesses, etc. The other major issue is that we are at the mercy of the competence of the translator, and of their impartiality, hoping bias and belief are not shading their translation. [B] The mass of material collected and maintained by Stanley Pranin, available on http://aikidojournal.com/. This is a go-to site; the interviews, historical material, videos and discussions are extremely important for Aikido’s historical integrity. [C] The direct transmission to us by the Shihans, particularly the Uchideshi, who spent years in O Sensei’s company, on and off the mat. Each will have his/her own take on things, but it seems that the Uchideshi who “got it” are remarkably consistent in what they say, what they do, and what they said O Sensei said, regardless of the name of the Aikido ryu they practice in. This consistency between them, regardless of style of Aikido, gives them serious credibility. It means that what they say is what they heard, what they do is what they learned. From O Sensei. That last is a crucial point – many of the uchideshi are in their 80s now; when they were with O Sensei Aikido was still small. When O Sensei said “Aikido is me, I am Aikido” he meant that there was only one instructor, one source – him. The Uchideshi spent their days and nights with O Sensei, learning directly from the source for years. Now that Aikido is all over the world most Aikido students have no or limited exposure to these Shihans, the source of their Aikido knowledge being the knowledge of their instructor and that of the instructor’s instructor. How many of these instructors in turn have had direct exposure to O Sensei or the Uchideshi, and in what depth, for how long? The connection to direct knowledge of O Sensei’s Aikido grows dramatically thinner with each generation. This is why the Uchideshi still teaching are a treasure; they were there, O Sensei taught them, threw them, yelled at them, talked to them outside class. While they are still teaching we need to grab everything we can from them. When they are gone, the last direct link to O Sensei is gone. The first issue we face is one of translation. For most English-speakers there is only one word for love, although there are several synonyms. In Japanese the root word for love is “ai”, which is also the word for “harmony” (a subject for a future article). However, the Japanese language uses the root (“ai”) in combination with other grammatical constructs to describe different kinds of love, where English only uses the one word. You can already see the major translation train-wreck approaching. “ai” (noun) = an encompassing, benevolent, protective “love”; non-specific, universal. Note the “protective” and “universal” elements, they become important when understanding the quotes from O Sensei. “seiai” = strong liking for music, a sport, animals, etc. “ai suru” (verb) = love a thing, activity. and more…but not relevant to this discussion. What is relevant is that O Sensei usually used “ai”. 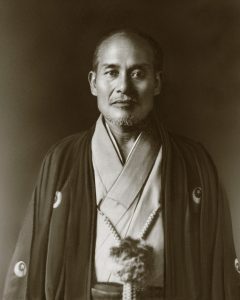 But most translations appear not to have explained the context and meaning, rather just using a generic “love” as the translation, and thereby both losing the actual meaning and also misleading a great many passionate Aikido practitioners, drawing them into a belief system that has an affinity with what O Sensei meant, but not a direct correspondence, and causing many to thereby misdirect their training. This applies to both the “lovists” and the “martialists”. So let’s have a look at a few of the things O Sensei said about love and about how Aikido deals with conflict. The quotes below are selective (and I haven’t provided their provenance), but representative; I’ve replaced the English “love” by the Japanese “ai” to allow the reader to see what O Sensei wrote, not what the translator wrote. “At that moment I was enlightened: the source of Budo is God‘s ai — the spirit of loving protection for all beings … Budo is not the felling of an opponent by force; nor is it a tool to lead the world to destruction with arms. True Budo is to accept the spirit of the universe, keep the peace of the world, correctly produce, protect and cultivate all beings in nature.” O Sensei actually defined here what he meant by love. He also means for us to keep the peace; obviously this is by dialogue and negotiation in the first instance, if our protagonist allows that, but should that fail O Sensei is also specifically saying we do Budo, an active loving protection not a passive one. Your ability to keep the peace and produce/protect/cultivate all beings in nature is the result of Budo and the transformation it makes in mind and body, as later quotes make clear. “Those who seek to compete and better one another are making a terrible mistake. To smash, injure, or destroy is the worst thing a human being can do. The real Way of a Warrior is to prevent such slaughter — it is the Art of Peace, the power of ai.” O Sensei saw fully trained Aikidoka as Warriors, not priests or monks. A Warrior’s job is to actively provide loving protection, but a Warrior is not a soldier. A Warrior is a person fully developed martially and spiritually, in this case via Aikido. “To injure an opponent is to injure yourself. To control aggression without inflicting injury is the Art of Peace.” This requires real Budo capability. “Progress comes to those who train and train; reliance on secret techniques will get you nowhere.” Tanren, the forging of the self through deep analysis of what is felt and seen and heard, and endless training and self-analysis. “Instructors can impart only a fraction of the teaching. It is through your own devoted practice that the mysteries of the Art of Peace are brought to life.” Tanren and research, again. “The purpose of training is to tighten up the slack, toughen the body, and polish the spirit.” And again. “True Budo is practiced not only to destroy an enemy, it must also make him, of his own will, gladly lose his spirit (seishin) to oppose you.” Maruyama Sensei says it this way: “Aikido is Love means to take Uke’s bad ki and replace it by good ki. This is love.” Both are saying there will be physical conflict, and your transformed self is able to change their mind during the engagement or argument through martial capability that includes the ability to affect their mindset. This martial capability and ability to affect Uke is the direct result of mastery of the Principles of Aikido, not mastery of the simpler Aikido. The Principles include the tools to achieve this. “Be grateful even for hardship, setbacks, and bad people. Dealing with such obstacles is an essential part of training in the Art of Peace.” Tanren. “One should be prepared to receive ninety-nine percent of an enemy‘s attack and stare death right in the face in order to illumine the Path.” Heart, spirit and capability are developed via the Principles and Tanren, otherwise this is difficult. Tohei Koichi – “Ai and protect all creation”. Protect is active, not passive. 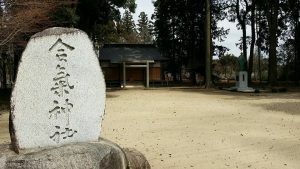 To summarise: It is clear from what O Sensei said, and what the uchideshi say, that the changes made to the philosophy and spiritual approach of Aikido and to technical Aikido after O Sensei’s death are by a large measure no longer the philosophy nor the technique that O Sensei himself practiced. The technical aikido of O Sensei requires intense practice of the Principles. Aikido Yuishinkai studies O Sensei’s Aikido, not the “edited” version. In O Sensei’s view, repeated by Maruyama Sensei and in numerous articles, books and videos by other Uchideshi, the purpose of Aikido is to develop people in heart, spirit and body to be able to provide Ai. Not “love”, ai. The purpose of Aikido is not to develop people whose focus is martial, that’s just fighting. The purpose of Aikido is not to develop people who love each other and nature, but can’t perform to protect, that’s an empty, passive love. Ai is protective and benevolent; it contains “love”, but also contains action and commitment and formidable capability. Ai is the result of transformation, a transformation that is made possible by the intense study and training and competence in the martial ways of Aikido which provide the ability (should the circumstances allow) to protect others and the opponent, to change their mind and to offer a different path. Aikido is Budo. Aikido is Ai. This is an article by another student of O Sensei. A “Japanese” way of saying the same thing as above. Thankfully, we are taught by the Founder “the spirit of the universe is the greater ‘love’ which fills all corners of the universe, in all directions, in all times” (「宇宙の心とは、上下四方、古往今来、宇宙のすみずみにまで及ぶ偉大なる『愛』である」). In other words, “the spirit of the universe” is the greater “love” of the universe. To summarize this interpretation, “you must make the spirit of the universe your own spirit” means that you must make yourself one with the universe, and train and live with the love of the spirit of the universe. “Love” is something that seems to have great importance for Aikido. For instance, the Founder would say things like Aikido is “Ai (Love) kido” (「愛気道」), or that Aikido is “the Budo of Love”. Further, he wrote many times that “the Gokui of Aikido is love” and “you must make the spirit of the universe (‘love’) your own spirit”. However, the “love” of Aikido is different than “love” as it is used in daily life. A movement of feelings towards what is recognized as precious. Also, the appearance of that feeling. Feelings towards someone that is cared for. Feelings of wishes for the best for someone. The “love” that is the Gokui of Aikido can be contained in the above definitions, but since, as written above, the “love” of Aikido “fills all corners of the universe, in all directions, in all times”, and because this is “the spirit of the universe”, there must be a different definition. Incidentally, “all directions” (上下四方) is all of the space in three dimensions, and “all times” (古往今来) is all time past-present-future. In other words, the universe. “The spirit of the universe” is “love”, this love is not tied to the time of the past-present-future, and fills every corner of space. Looked at in the micro scale, this may mean that there are no openings in your movement of in your ma-ai. This is a special characteristic of the love of the universe, but another is that while the universe gives love it demands nothing in return. The kind of love above also exists in everyday life. Looking at different cases, for example, there is the love between parents and children. When the children are small this is mainly something given from the parent to the child. This kind of natural love can be said to be instinctual. However, when the child grows up, if the parent demands some kind of return for their love, that love will come to change. The love between a married couple is something that the couple gives to each other. It may be that there is some expectation of return, and appropriate give and take is the basis for harmony in marriage. At the least, it is good when gratitude is returned. From these examples I would like to define “love” more simply. The explanation that comes out from my simple mind is “love is to think of standing in the other’s position and behaving that way”. If you only behave while thinking of your own position the other will think that they are being ignored, and it will cause trouble. If you can stand in the other’s position, you know that if you do this then they will become happy, if you do this they will become sad, if you do this then they will become angry. It’s the same with flowers, or a tree, doing what you think is best for them. This is love. I think that it may be that the reason that Aikido is called the Budo of Love is because we think of standing in the position of the other as we apply technique. For example, if we do this than the other will be injured so I won’t do that, the Uke must be in pain because they are not very flexible so I’ll stretch it out a little bit, or the other does not know how to use their body so I’ll guide them along. Aikido is the Budo of Love does not mean that you just practice without any strength in order to avoid making your practice partner feel uncomfortable. This is Budo, so in order to feel the intensity of Budo you and your partner must practice to your limits so that you can train in a way that you can both become better. It is thought that through training to your limits that true “love” comes forth. Becoming better means getting closer to your goal, so in order to become better you must have a goal. Since the love of Aikido is the love of the spirit of the universe, as I wrote earlier, it must fill the universe without regards to time or empty space, and must not expect a return. Of course, if you are teaching Aikido for a living then there must be some return, but even then love is necessary. However, in that case, as the Founder said, first you must give love. As a result there is some return. Putting forth “love” with an expectation of a return cannot have a good result. When we unify these meanings of love and meanings of Aikido, one more definition of “love” comes forward. In other words, love is the spirit of aiding the universe in its process of positive development, and the spirit extended to the objects of that development. In other words, this is because “positive development of the universe” (宇宙生成化育) is ‘the spirit of the universe”, “the spirit of the universe” is “love”. Aikido as something that aids in the positive development of the universe, as the Budo of Love, and as “Ai (Love) kido” (愛気道) are all connected. There is a kind of love called “platonic” love (純愛), but perhaps the love of Aikido can be said to be the love of the Universe, or “planetary” love. http://www.aikidoyuishinkaiaustralia.com.au/wp-content/uploads/2016/03/Aikido-Yuishinkai-Australia-Logo-4.png 0 0 PeterK http://www.aikidoyuishinkaiaustralia.com.au/wp-content/uploads/2016/03/Aikido-Yuishinkai-Australia-Logo-4.png PeterK2017-04-14 10:27:482017-04-14 10:27:48What's love got to do with it?